Spring is just around the corner, as I'm start to put away my heavy winter clothes and accessories & I found myself can't stop checking out those super chic designer cluthes! Some is in hard metal case, some in soft envelope form leather material, pink one, gold one I want them all! Choosing the right clutches to go with your spring summer look is important! even tho is a small accessories but it says a lot about you! 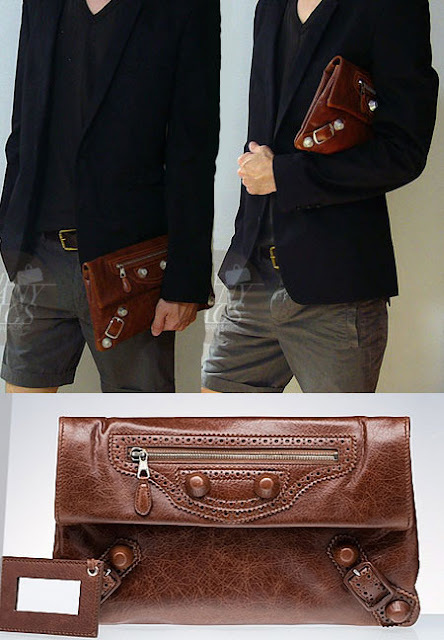 And in spring 2010 Men's fashion show in Milan, Paris & London, a "Men Clutch Bag" is back in fashion in full force! Some of you might ask: What is a Clutch? A clutch purse is not seen on an everyday basis as often as it used to be, but these little gems are still around in various forms. They are usually small purses designed to be carried or "clutched" in the hand. Some have a detachable chain or leather strap so they can also be worn hanging from the shoulder. The history of purses in general dates back to the Babylonian era. Purses were generally used in religious ceremonies then, and the modern wit might quip that they still have a holy significance to a woman. People figured out that they were useful for carrying money and valuables and purses became popular, worn on belts by men and women. 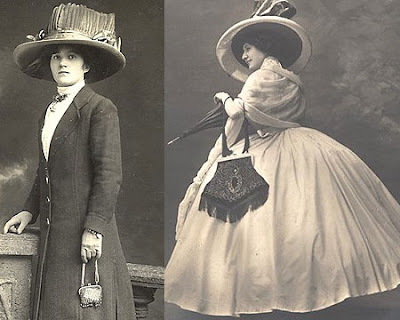 In the early 1800s, women began carrying reticules, the forerunner of the modern handbag, looking very much as some styles of the clutch purse look today. 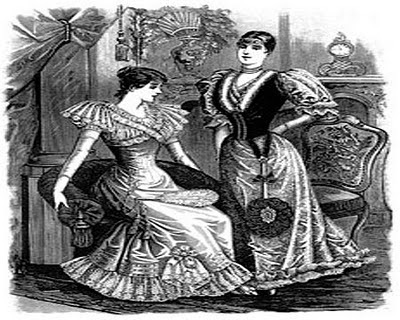 A lady of quality carried her handkerchief and smelling salts in her reticule, along with, perhaps, a packet of rice papers to dull a shiny spot on the face. The clutch purse has been popular ever since. The clutch purse went out of fashion in the early 19th century, but experienced resurgence in popularity during World War II. With rationing, the smaller clutch required less material for manufacture and fit in well with a wartime mindset. I’ve been carrying around my Balenciaga, Gucci Sigrid & YSL clutch under my arm for a week, and suddenly, life is easier! I grab everything I need, all at once on my way out the door, which is too much to fit into a pocket-sized wallet. So I’m particularly delighted with the newest unexpected twist menswear runways - the introduction of clutches to men’s wardrobes. If you think about it, it’s really not far-fetched. 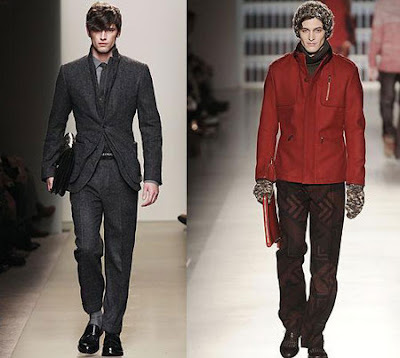 Men carry briefcases and portfolios, which are just as hard to carry as a clutch. So why not switch out an attaché case for a sleek Gucci envelope? Plus, these days, we’re carrying cell phones, wallets, Blackberries, keys and billions of other things! 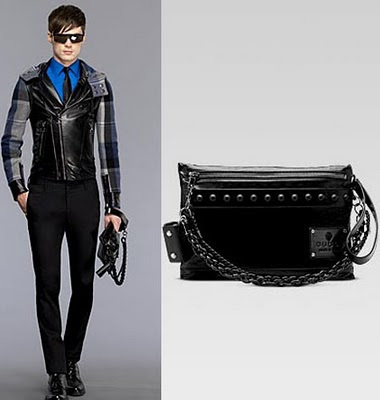 A giant messenger bag isn’t always a convenient, or appropriate, accessory for a night out. 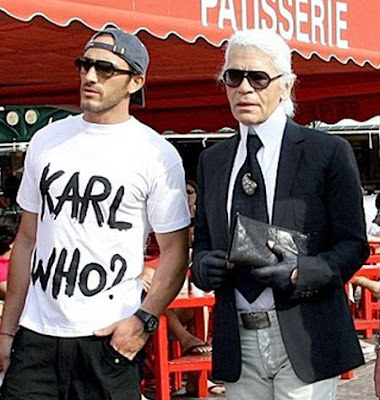 Look at Karl Lagerfeld (Design director of CHANEL) carry his own brand KL clutch out for a casual walk, super stylish & practical accessory for both women & Men! 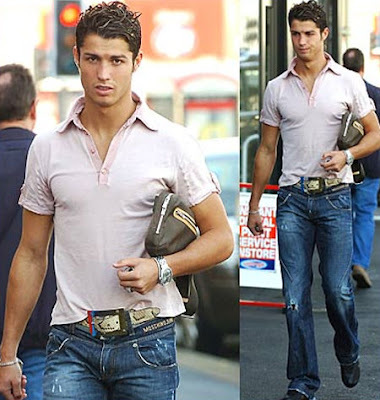 The 21-year-old Portuguese soccer star Cristiano Ronaldo was spotted walking through busy street in London accessorized his outfit with a man clutch! I think it’s super stylish! Ok ok, enough about the men! Now let’s look at some of the beautiful clutches for the Ladies! For a casual look, an oversized clutch that can hold your wallet, sunglasses, lipstick and cell phone will be the perfect choice. Casual clutches are generally made of genuine leather, patent leather, suede or satin in pleasurable colors and designs. 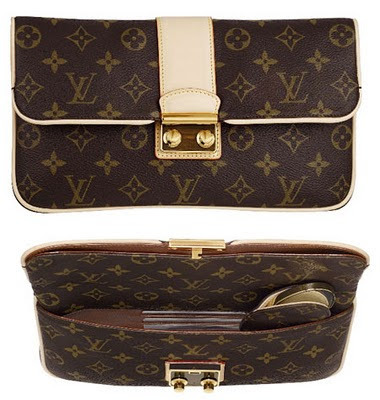 For an elegant clutch, a smaller version is preferred, with space for cash, credit cards, ID and a slim cell phone. Clutch bags look best with a pair of high heels. Once you start carrying a clutch bag, you will love its handy character, and will like grab it and go. 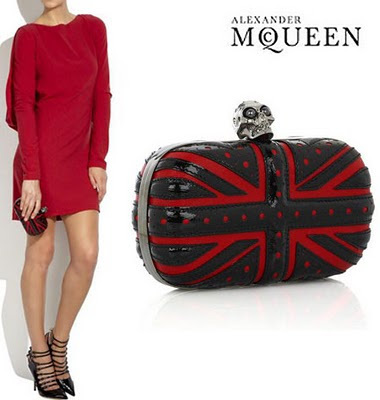 If the iconic Union Jack clutch is too patriotic for you, perhaps you’d like to try this Alexander McQueen Patent Leather Knuckle Duster Clutch. We have already seen this type of clutch before, but interesting enough, this new rendition comes in an exciting silhouette. Instead of coming in the usual square-y box shape of clutch, this clutch is in a rectangular shape, measuring about 9 x 3¼ x 1½ inches. It probably resembles to that of an eye glasses’ box, but of course, in a chicer design. Well actually, this exudes tough-chic appeal, which should not anymore be surprising considering that it has always been a signature for Alexander McQueen. Made from exotic python skin in black, It has black gun metal framing, and the interesting knuckle ring handle also comes in the same tone. 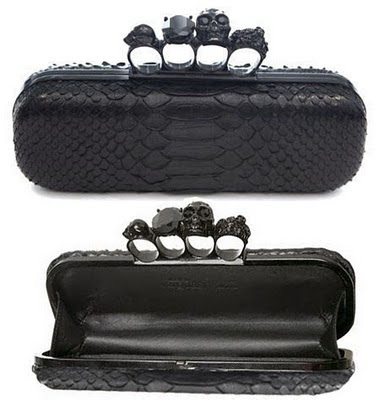 This then has an attached jeweled skull and stone knuckle duster, giving this tough-looking clutch a hint of dark goth femme glam! I am already on the waiting list for it. 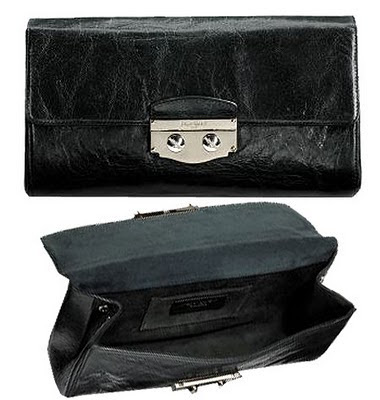 It is very clear that this Alexander McQueen Faithful Leather Glove Clutch is for the rocker type fashionistas. Well, we can’t deny that most of his creations exude that kind of appeal, but there are some that only shows a hint of such. Seeing this particular clutch obviously shows Alexander McQueen’s main theme and you don’t even have to guess if this is intended to look classic or simply tough. 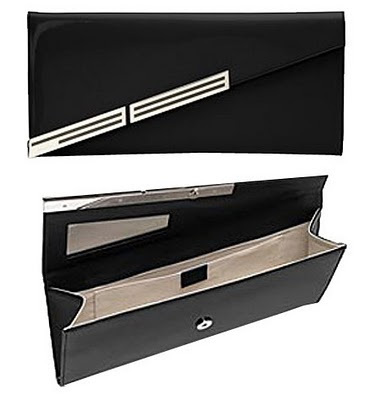 This Alexander McQueen clutch measures about 12½ x 6½ x 1½ inches, plus it also has angled zippers on the fold-over flap, and opening the clutch would also show extra zipped pocket. It is made from distressed black leather, which already brings a hint of toughness to it; but what actually makes this even tougher is the snap closure glove design on the flap.I’m not sure if you can slip your hand in it for a unique carrying option, but if it is intended to function as such, then this is without a doubt, exceptionally designed. But if not, this clutch is still fantastic anyway. No one speaks the “Casual Hamptons Country Chic” better than designer Michael Kors! 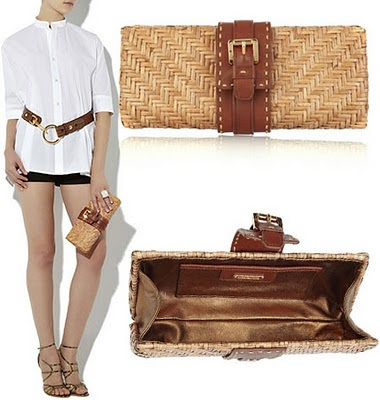 This clutch is mad with braded rattan with delicious dark chocolate brown leather strap as closure. Measure 4.5” L x 10.5” W x 2.5” D. Perfect size to fit all of our necessities in there and looking so chic without looking like you are trying too hard! 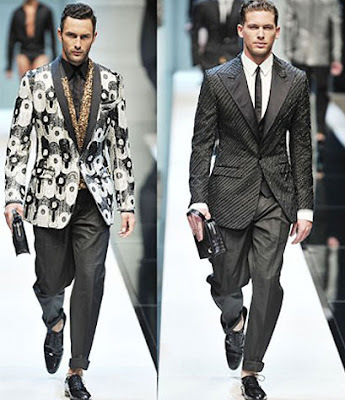 To end this posting, here is Dolce & Gabbana Mens Spring-Summer 2010 fashion show, look at how handsome they look with the “Men’s Clutch bag” Bellisimo ! I hope this posting inspired you to start to think about & preparing your spring & summer wardrobe as I do and go pick up a fabulous clutch to accessorize your look this spring!